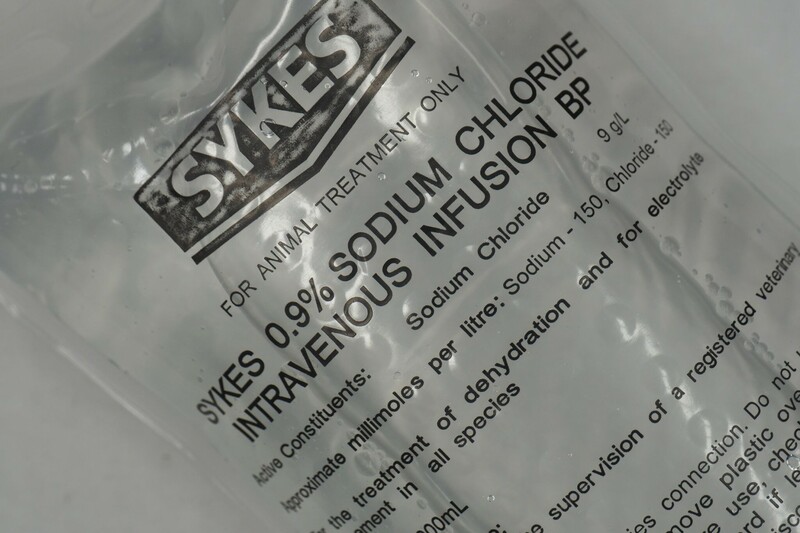 This product may be administered by intravenous infusion for the treatment of dehydration in cattle, calves, horses, dogs and cats. It may be used to correct hypovolaemia resulting from shock or gastrointestinal disease (especially where metabolic alkalosis is present, e.g. in cases of sustained vomiting or abomasal disorders in cattle). It may be administered to meet normal fluid and electrolyte requirements when fluids cannot be given orally. All bags have a flip off fixed injection port, and a fixed spiking port with butyl rubber stoppers, and a plastic wall so the needle can’t accidentally pierce the tubing.